Yesterday, chart-dominating singer, songwriter, and actress Demi Lovato was recognized by the Substance Abuse and Mental Health Services Administration (SAMHSA) for her work as a mentor to young adults with mental health and substance use challenges. Lovato received the award from the U.S. Department of Health and Human Services Secretary Kathleen Sebelius at the National Children’s Mental Health Awareness Day press briefing, held at the University of the District of Columbia Community College in Washington, D.C.
At the press briefing, Secretary Kathleen Sebelius discussed new data reports being released during Mental Health Awareness Month, including the first-ever Morbidity and Mortality Weekly Report supplement on children’s mental health from the Centers for Disease Control and Prevention. She also announced a State Informational Bulletin from the Centers for Medicare & Medicaid Services describing effective services for children and youth with serious mental health conditions and encouraging the use of services such as respite care, parent support providers, and intensive wraparound care coordination. In celebration of Awareness Day, SAMHSA Administrator Pamela S. Hyde announced the release of a new SAMHSA publication, Promoting Recovery and Independence for Older Adolescents and Young Adults Who Experience Serious Mental Health Challenges, which provides information about how community-based programs are improving the lives of youth and young adults with mental health and substance use challenges. The briefing served as a launch for SAMHSA’s Awareness Day that includes events and activities in more than 1,100 communities and more than 135 public and private organizations. As part of the launch activities, SAMHSA premiered the Awareness Day virtual event here as part of its Awareness Day celebrations. 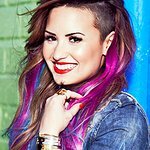 The virtual event features a message from Lovato to young adults, in addition to stories from young adults from across the country who have overcome challenges and demonstrated resilience after achieving social connectedness in housing, education, employment, or in accessing health care services. For more information about Awareness Day, new publications, and to view the Webcast of the press briefing and the virtual event, click here.